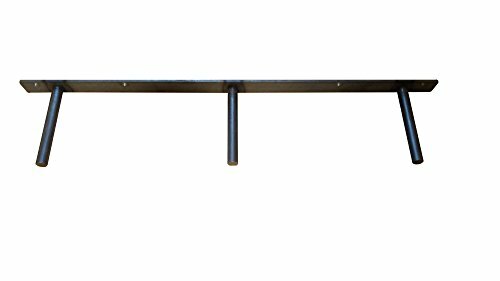 32'' Floating Shelf Heavy Duty Solid Steel Bracket- For 36'' + Shelves MADE IN THE USA! 32" Brackets are CNC cut with perfect spacing and precision accuracy. Made with 3/16" steel back plate and 3/4" solid steel support rods. Solid steel construction means these are ultra heavy duty. Ideal for shelves over 36"
See our other listings for 12" and 24" brackets!